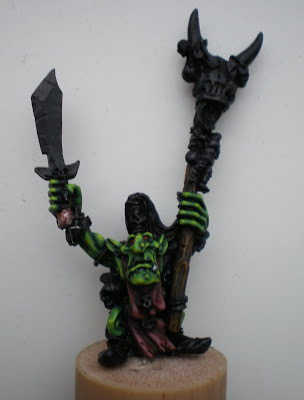 I’ve been working on this miniature from Games Workshop for some time now. 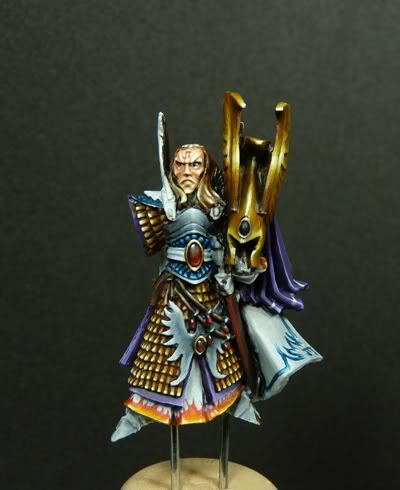 It’s high elf captain Caradryan, and I am painting it for the new GW shop that opened in my city last month. The gold and gems are ace! Very gorgeous. I'm not so convinced about the back… looks glossy and the surface of the metal miniature is dented, especially in the recesses. You can fix this by preparing the miniature with dilluted milliput (just add some water) and paint this on the metal before priming. Any ideas for the base yet? 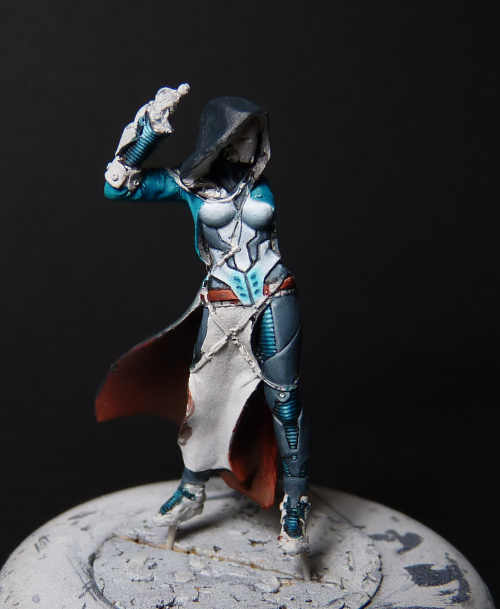 Really beautiful NMM !! Very nice face expression as well. 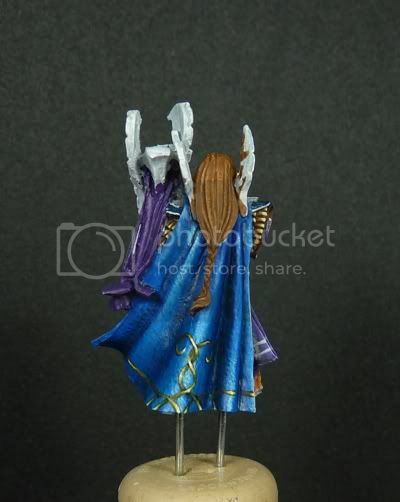 The cloak doesn't look glossy to me at all as it is a ceremonial armour. Though I agree with Corvus about the stains htat occur by the irregularities. Well put free hand! Thanks for your reactions. 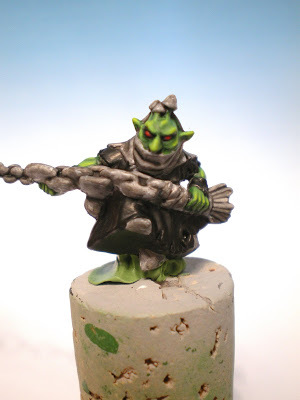 I'm still working on this miniature so your input is very much appreciated. I will get rid of the shine with some Testors afterwards. Thanks for your great input! Thank you for your reply. I cannot find any other way of contacting you, so I'm hoping you will read this message. 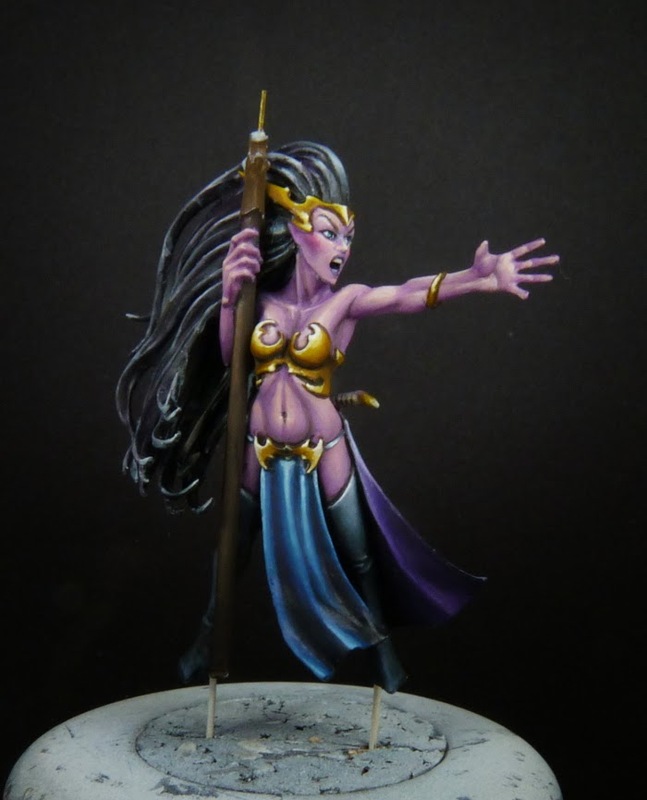 There is no lesson this Saturday, but there is a local painting contest of which I don´t really know any specifics unfortunately. I will give another painting lesson at thw GW store on Wednesday 28th of December. And in 2012 there will probably be monthly sessions. I will post the dates on my website! It would be great to see some of your latest work, I still remember the cute little fire-breather you brought to Noorderspel. You should definitely participate in the Lager Landen contest at GW, if you can manage!